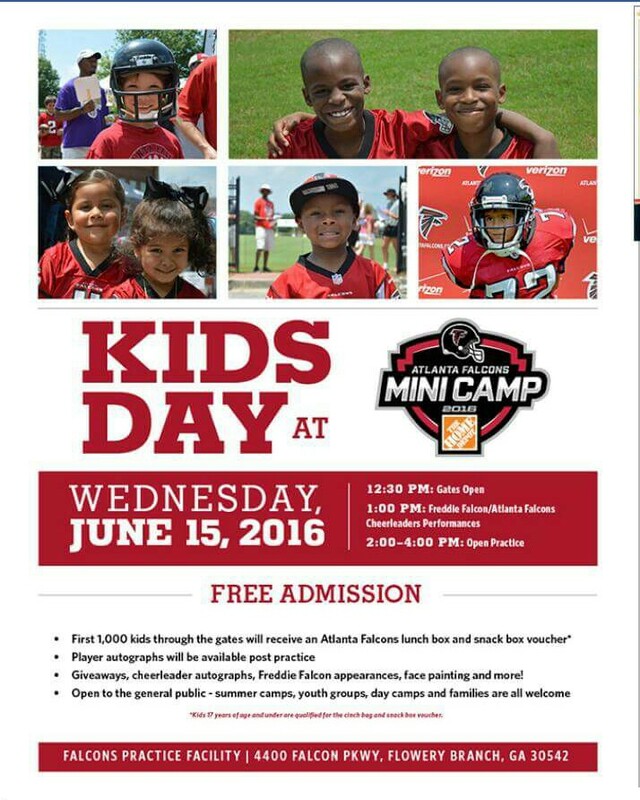 The Kids Day at the Atlanta Falcons Mini Camp will be held on June 15. Gates open at at 12:30 p.m. At 1 p.m., there will be performances by Freddie Falcon and Falcons’ cheerleaders. Open practice begins at 2 p.m.
After practice, players will be available to sign autographs. The day will be filled with games, activities and prizes and a special Atlanta Falcons giveaway of a lunch box and snackbox voucher for the first 1,000 youth who arrive.